I saw these in Costa Rica, but they're seen in the states too. I just need a confirmation that they're Broad winged. maybe the first is a juvenile? On the second, the neck stripe is less pronounced. I believe so. The only Broad-wingeds I've ever seen were in flight. 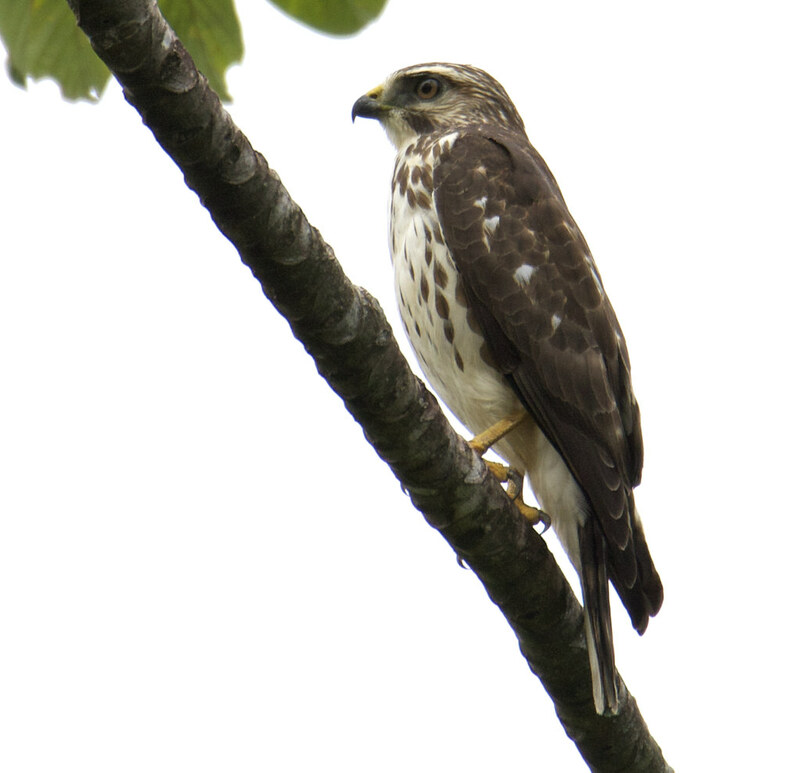 Yes, I'm pretty sure this is a broad-winged hawk. 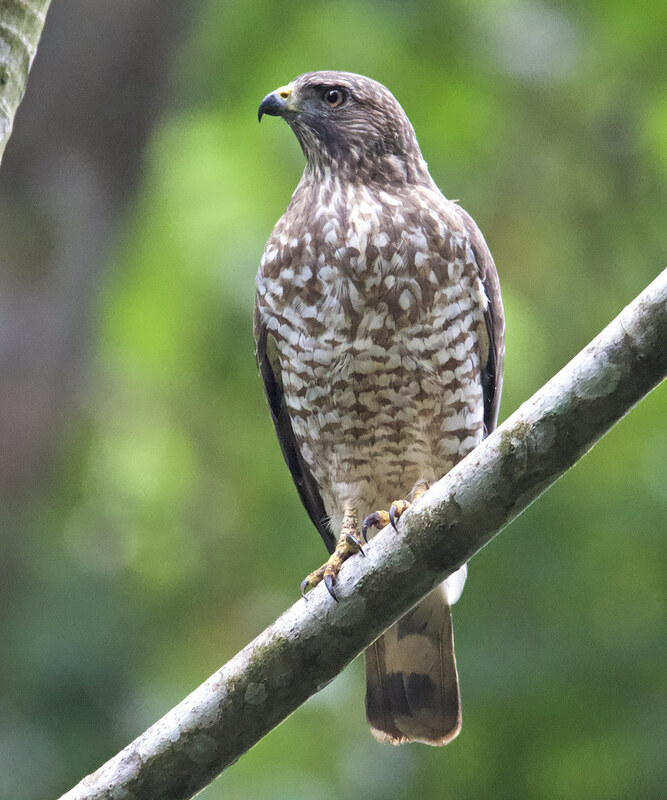 Both are Broad-wingeds (juv and adult), which is a fairly common wintering species in Costa Rica. Just jumping in to how nice these shots are. Great detail and lighting - love how macro this is given it is a hawk! Pardon for butting in, but what did you shoot with? Thanks. I shot this with 600 mm, but hawk was pretty close!